While supplies last, score this Limited-Edition Maybelline Fundle for only $6.38 on Amazon, regularly $19.99. 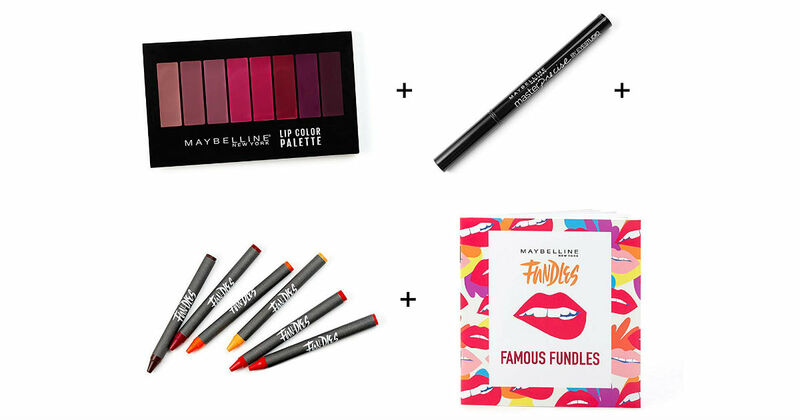 This kit includes Maybelline Lip Studio Lip Color Palette, Maybelline Eyestudio Master Precise All Day Liquid Eyeliner Makeup, and Maybelline Famous Fundles Adult Coloring Book. This is an add-on item and will ship with orders of $25 or more.